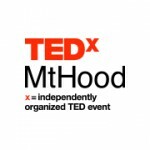 The TEDxMtHood planning team is excited to announce our 5th annual Artist in Residence! 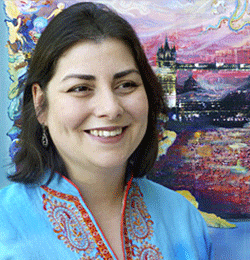 Sabina Zeba Haque is an artist of South Asian descent raised in Karachi by her American mother and Pakistani father. Haque received an M.F.A in Painting from Boston University, and teaches Fine Art at Portland State University, Oregon. Haque exhibits her work throughout the States and internationally, connecting her personal experience of living “between” cultures and exploring the creative potential of the many places she calls home. In 2014, Haque was awarded the Oregon Arts Commission Individual Artist Fellowship and the Jordan Schnitzer Printmaking Residency at the Sitka Art Center. Her artworks are in numerous private and public collections including the Gordon Gilkey Print Center at the Portland Art Museum and the Jordan Schnitzer Collection and City of Portland’s Public Portable Art collection.